The DMR for Electric Utilities Roundtable was a moderated open discussion. Several themes reoccurred through the day. This transcript pulls together the phases of the discussion that centered on the theme, "The Role of DMR in Improving Worker Safety." Member: When we designed air trunk system, when I worked at North Anem, which is a nuclear power station redundancy was the key. Redundancy upon redundancy. If this goes down, then it goes to here. And if that went down, then somewhere else. What I did there, and it was a Motorola SmartNet system, and what I have done for the Tait system, is that I put in RF base stations. And in every dispatch center. I do not rely on any wires on the backup. It is all RF. It is just a desktop unit. It is a mobile unit attached to a 12-volt power supply. You can talk from there to the network just like you would a truck. Because if you go on the assumption, that if you lost all of your IP connectivity, the network was down, then that also means that all of our outage management, all of that is going to be down to the districts also, because all of that resides in our corporate office. So you are going to be opening up the districts for outage control anyway. You go back to the old maps. You go back to cards, [manually] keeping track of everything that you are doing. You put a guy on the radio, and he controls the crews from that one radio. So, yeah, it gets very simplistic, but you've got communications in the field. Moderator: I think the use cases are absolutely everything. If you are talking about -- whose communication when the network goes down do you really want to have staying up? And then, what is the backup network for them? And I know that even if you are not talking about maintenance networks, that you are just talking about, say, SCADA networks, some of the utilities that I visited in the Middle East actually backed up these: the radio was the bottom line backup, but they had copper wire. They also had fiber, and all of these were fallback positions. So when we put a radio system in, it was really just one of the backup systems, or backup networks. They were all completely independent of each other. But as Doug rightly points out now, you know, over time, for various reasons, something to do with ignorance, but something to do with pressure from management; the inability to support these develops because the service just isn't there anymore. So these backup communications paths and networks start converging. And, again, when you have separate networks, you've got redundancy, but you've also got a maintenance issue, because these are separate, and they will start to lose synchronization with each other. And you have to maintain key technicians and skills to maintain separate technologies that are going to be maybe at even different generations. Member: Only to comment on your comment before about the DMR to be (inaudible) rural areas. It is not real. You need this DMR, or whatever it is, your mission critical radio, as well. Because the first thing that goes down when you have a power outage is exactly the wideband system. It goes down. I have been in Vitória, a city near -Rio de Janeiro, when the power went down, and everything went down. And the people - the technicians, the electrical technicians, inside the city - were on the cellular, because it was inside the city. The coverage was perfect and everything was good. It was okay. In 10 minutes, you had no cellular service at all, and you couldn't find one single technician, because they had no radio. The radio system that they have that was not inside the city - but outside the city - worked perfectly. You need mission critical radio for wherever you are, because this is -- it is usage. Moderator: AES encryption is going to be the standard for public safety, and that is consistent with requirements for interoperability between public safety agencies. You know, if there is a shared channel with a utility talking to local law enforcement needs to use, they can trade encryption keys and use common encryption algorithm to talk securely. There are also security issues for maintenance workers. Brazil has such issues, because maintenance workers go into dangerous places. … Not only that, but the unions require each guy to have radio -- a technician can't work without a radio. It is a requirement. Then, every single technician that is on the field will have a radio of some kind, a portable or mobile, but he must have a radio. Member: Is this on the technician or in the vehicle? Member: It is a portable. But it depends very much on coverage. If there is very good coverage, he can carry a portable. If not, he will have to use it in his car. Member: They made a point exactly to your point, Kathy. Black Hills Power has the trunked network, and they acquired another utility down in Pueblo, Colorado. Just recently they have started migrating the system operations to our headquarters in Rapid City, and they've got a conventional system down there with five separate mountaintop sites to cover that area. And the same system control operators that are used to the simplicity -- you know, you punch the button, and you get this broadcast to anybody you want. It is very easy to use, the trunked network. Now, all of a sudden, they are like, he says he is in this area, and they are not really sure. So they are trying to figure out which one of these towers he is near. So that is what we used to have at Black Hills Power, that same conventional system. And , after a while, they would kind oflearn where the guy would be at and where they are most likely going to find him, what site. Moderator: Doesn't make them comfortable. Member: No, no. Especially when they have to dispatch, you know. Member: They have some incident going on here, and then dispatch have got, on top of everything else, trying to figure out which one of these sites they're going to find this guy at. Member: On the trunking aspect: we went from conventional and upgraded to the MPT system. We went trunking. Now, at the time when we were doing restoral, one call at a time. We had two channels, one north and one south. We had the possibility of two calls at a time, two different calls. When we went to the trunking system, we had a wind storm. During the most recent one I'm thinking about, in a three-day period we placed over 22,000 calls with multiple conversations. And at the time, there was some kickback: "Why do you want to do this kind of thing?" New technology, new this, new that. Rappahannock Power bought one half of Allegheny Power when they withdrew from the Virginia market. Allegheny company was running a conventional system. We had to upgrade it to the trunk system. And the guys in the trucks loved it, because now they can make multiple calls. They can place truck-to-truck calls. We've got one district that that is all they do. They very rarely make group calls. It is all truck-to-truck calls. Moderator: I think I might pick up that thread on worker safety, too. Kathy? Member: In our trunk system we have 14 of our distribution cooperatives that also use it. All of these companies can operate independently in normal circumstances, but in circumstances for mutual aid or switching - things like that - they can go to common talk groups or can go to another company's talk groups. All the talk groups are programmed in everybody's radio. So it is a huge benefit from a mutual aid standpoint of having multiple companies on it, because no one hears that in day-to-day traffic, but they can, you know, use it to their benefit when they need to. We also have some distribution cooperatives who do after-hour dispatching for other distribution cooperatives. So they will switch over, and on the console, they will have these other companies' talk groups so they can automatically communicate with their vehicles. They don't have to worry about dispatching over cell phones and things like that. It has been a huge benefit for them from that standpoint. Moderator: And also, you know where they are because they registered on a site? Member: You have to be watching some other kind of console, just like their communication technicians can access, to see what they are keying up on. Without AVL, there is no way to know where they are at. Moderator: If you are a one-man crew, do you need a whole group? If you are sending one man out to basically do servicing, as I believe some companies are doing, how would you track them? Member: You have to type back to dispatch. Moderator: Do you want to do this as an individual call or as a group call? Member: Part of that is, on a normal day-to-day operation, you might have more than one person on a group. Member: The way that we've set ours up is I've got district offices. Each district office has a set of groups, and that is all they listen to. Now, if we get them moved to another district, they change the profile and go to that district's profile. But on a day-to-day operation, one person, if they are doing multiple switching, one person may be doing it, but everybody else knows what is going on. Member: Now, you carry that on into the evening, there is no need to change talk groups, because that is what I normally operate on. So there may be one person out there, but that is his group that he normally operates on a day-to-day basis. Moderator: So individual calls are really not something that is required? Member: No, they are, they are. Yeah, but they are used for different purposes. If you are doing your normal day-to-day work, you want people around you to know what you are doing, so you do talk groups. If you are a supervisor and want to have a conversation with one person that is more or less private, you use your private call, or, you know, you want to talk about something that is not really related to what you're working on or, you know, planning to meet up with someone for lunch or something, then you use a private call. But anything that relates to electrical system that is always a group call. Moderator: Very interesting. Thank you. Just in exploring worker safety a bit, would your workers involved in doing maintenance be required, as I think Kazimierz mentioned, to have a radio on them? I mean, in Brazil, he said this is a legal requirement. Member: Not legal. Union requirement. Member: In Brazil there is a work requirement for safety. I don't know what you call it here. Moderator: Here is OSH - Occupational Safety and Health. Member: And the equipment is called PPE for 'personal protection equipment'. Member: PPE. Then, the radio is a part of the PPE. But in the oil industry, you can't go into oil rig without wearing intrinsically safe portable. It is a requirement. Moderator: A requirement for all of the utilities? Kathy? Member: No. Interestingly, when we were doing a requirements analysis with our company and our distribution members, most of our distribution members require that switching my electrical communication be done over the radio system. I found out about half of ours is done in switching is over cell phones, and that because with our cell phones -- all of our dispatch is recorded, our operators are fine with that and our operation center is fine with that, which that surprised me a lot. Moderator: I would be a bit nervous, as an ordinary consumer cell phone user, if my safety depended on my having cell phone access. Member: And it goes back to the fact that with what I just said: people around you being able to hear what you are doing. Member: And when you are on a cell phone that obviously doesn't happen. It is not a dispatch call. Member: Don't you have recorders on your system? Member: We do. So the cell phones are still being recorded, but I was surprised that switching - because it does affect people that are down line, and people around them - isn't required by my company to be done on the radio. Member: In our case, the distribution workers are very heavily dependent on push-to-talk for switching. The transmission substation - we call them patrolmen - go into the - meter relay house. They are going to work the breaker actions from inside their house -- and most of our radios are truck mounted, so they can't carry the radio into the relay house, so they use cell phones. I think they have fallen back to using cell phones because they can be on the phones while standing at the relay panel. Whereas, the distribution crew is out there fixing the operating switch or open a blade or whatever they are going to do within hearing distance of the truck. Moderator: The guys that work on the transmission network. I mean I don't see myself being very comfortable going out in a truck, one-man crew, go out in a truck there and then, you know, check a tower with my cell phone. Member: So that brings up the business requirement that - I don't know if DMR or the latest version would do this - but we would like to have a portable that could walk away from a truck and the truck becomes a relay back to the tower. Now, TETRA can do that. Moderator: Any radio technology can do it. Moderator: Up in a tower with a cell phone, I would be nervous. Member: Why is that? I'm trying to understand that. If it works, it works. Member: They are not up in a tower. They are up in a bucket. Member: Will it work in a bucket? Member: Yes, much better than a portable. I mean, at least we in a rural environment- don't design our radio systems for portable coverage. We design our radios for mobile coverage. Portable is for wherever it happens to work. We couldn't afford to build a private radio system for portable coverage. Member: But ours doesn't do that. We don't have that capability. Will we implement that capability when we upgrade? Quite possibly, but I guess what I found odd was that there was no one in our operations department that seemed to have any concerns about it, either. Member: There -are, in my opinion, two ways that concerns could come up. One way is safety, you know, that type of..
Moderator: That was my concern…. Member: …and the operability to the dispatchers, because it works most of the time. But my other concern would be that during serious events - storm, hurricane, earthquake, blackout - the cell system is down, and they are used to relying on their cell radio. Now they have to figure out how to do it with the portable or the truck radio. Member: They will have that for the trucks. Member: AT&T users in Massachusetts are dropping out all the time. Member: They might use it half the time, but they still have the radio system there if the cell system goes down. I mean, the radio system has to be there. It is still a huge requirement - not necessarily used all the time - but definitely used if there is some kind of disaster. Member: There is like the convergence creep we talked about this morning. We have seen transmission network users so reliant on cell phones that they forget how to use the radio. And then, the radio goes down and a console will go down. I found the console dead in the dispatch center. We are talking about half of a Texas dispatch center. One radio wouldn't work, because a wire had broken on one of the audio links to that console. They could hear it from the console down the way, but this console was no longer operable. They do all their weekly tests and never found it, because they could still see it. So what I'm saying is: you could have the same problem with the field guys. The trucks get into a habit of not using the radio, forgetting to turn it off et cetera, and then you when try to reach them with it either you can't or they don't know how to use their radio to be reached. Member: Well, theirs is on, and our cell phones go through our console. So they are still talking through the same console they would use with the radios, and it is push-to-talk. You don't have to go through anything, really. You know, you hit your push-to-talk. It is, like I said, used about half the time. I was just surprised there wasn't a level of concern here. It was more on the distribution side of the company that they made a bigger deal about making sure everything was done over the radio system. Member: I only mention that, because I think there is a case for both in the network and the safety of the worker. Moderator: I think we have agreed that multiple technologies are what utilities are going to use, so what we are actually talking about is how to partition the appropriate uses of each technology. Then the utility gets the best usage out of each of these, and it has multiple redundancy options for falling back when something fails. Member: The best of the ways at that time and in that situation. The maintenance of radio in the truck that just becomes an operator training system project where you make sure that there is a test system going on, that they inspect the radios on a regular basis, and that type of thing. I'm not saying I'm opposed to using commercial systems. Member: I'm not that big of a proponent of commercial networks. But I think you use whatever is best that works at the time . Moderator: I think we all probably agree on that. I have a question for Kathy, though. On worker, does the MOTOTRBO system you are familiar with carry information for, say, telling dispatch people, where the workers are? Does it carry GPS/AVL? Moderator: What other sort of information does it carry back? Member: Well, the systems I have put in place are plant systems. There are other systems that I know about, but they are not my systems. Member: I do know it does do AVL. I believe it does canned messages, so you can do text messaging on it. I'm trying to think what else it does. It does now have a man-down feature, not just the emergency button. It has an emergency feature, as well. But the man-down feature - where it alerts if your radio sits still for a period of time - it does have that capability. Member: It is an option. Moderator: P25 has this in radios, too. Member: That's not anything that any companies that I know that have implemented. Moderator: What about other related communication, both to and from service crews? Suppose you've got a maintenance problem somewhere. Would you want to provide information to the service people going out, so that they have some prior anticipation of the nature of the problem, who they need the bring to it, and what equipment they need to have, and maybe even maps. Or some indication from them back to the dispatch about, you know, what they find at the location of the problem, what additional resources they need etc. Member: As far as I know, they are not using anything like that. And I can't imagine doing any kind of maps over any kind of a narrowband system, that you would send a map over that. Moderator: Doug, you had a question? Member: It was a couple of comments. I'm not sure they are critical to the discussion, so go ahead. Member: I would like to pick up, because I have some of the same issues that Kathy has with the way we designed our system. It is built for mobiles, not portables. And I get guys up in the bucket, and they can't get communications back, so they will use cell, just like you do. What would suit our needs, I believe, is a Bluetooth connection up in the bucket down to the mobile radio in the vehicle. Rather than issuing a separate portable radio, which my system can't really support, or having a vehicular repeater and the complication that brings. Moderator: So would you, if I can just crystallize that. Would you prefer an alternative to using cell phones in order to communicate? Member: Yes, because certain traffic, when someone is working on an energized connecter, I want everybody in the area to hear what is going on. Member: And you need the emergency capability - the ability to push one button, if you have an emergency and preempt traffic to go over a control channel and automatically notify dispatch that there is an emergency. You don't have that ability in any kind of cell system. Moderator: It would be good, then for the guy in the bucket, if he had the ability to push some kind of emergency button, at least to alert a guy on the truck who may be some distance away (depending on where he can park). So you would like the guy in the bucket to be able to press some kind of button to say "emergency!". Moderator: And that alert somehow gets back right to the dispatch. Member: And maybe it is a button on a Bluetooth headset or something. Moderator: I will first get a comment off you and then take the next speaker. Member: There is a technology: the mobile repeater technology. We actually purchased it, and it turned out to be totally non-usable, and the way it works is as a simplex radio channel that we have license for. It is basically a 150MHz channel, and the way it works is that any time the mobile is receiving any audio, it transmits that over that short range or via the vehicle we are talking about. So everything is good. You are transmitting this audio, the mobile is receiving audio, and it is retransmitting it to the portable. Well, the problem is that it is a simplex channel. You can only transmit or receive on it. So the way it works is it has to chop. It uses a scanning feature where it chops the audio off at a rate you set, a parameter that you set. So when people are talking, it is really, really choppy, and the crews hate it. It needs to do that to stop transmitting and listening to see if the guy is trying to talk back. So anyway, that technology is there, but it is just non-usable. And we installed it on a couple hundred radios. Member: The product, Pyramid is the name of the company. Member: There is technology to solve this problem immediately for you. There are some repeater mends or repeater units that will store and forward your conversation. It means you press a button. It goes out. As soon as the other guy tries to report, it will not chop but it will store. And this storage, as soon as you open it, it will be sent to you on simplex channel. Member: So if you are going to talk about having something that will relay a short distance, probably the need is to have something that will go at least pole-to-pole. So 250 to 300 feet is probably the right range, because you've sometimes got two people from a crew. One is up in a bucket, and the other one is on spikes up on another pole - not supposed to be - but it happens in storm situations. And both of those guys are then away from the radio in the truck. That is probably a reasonable distance to set that sort of a repeater for, is, you know, pole-to-pole distance. Member: Just a conceptual question. Is it better to receive no transmission rather than a garbled analog where it phased out and you are not sure what is said? Say for example, in digital, it either works or doesn't work. Isn't it conceptually better to just have the line resort to the basic lineman training, and you know, he is not getting a mixed message? Just curious. Moderator: You will have people arguing both sides. Cops have had that argument. Some say, well, it fades in and out, but I get something. Something is better than nothing. Others say exactly as you do. And I think one thing that they all agree on is they would like some prior warning for when coverage is going to be lost, so some visual or audible indicator that they are going to get into a situation which they will either get nothing or they will get garbled speech. If they get some kind of prior warning, they will stay back to where they can see the three bars. Member: In the electric world, you've got a couple linemen out there trying to isolate a line, and you know, if they have mobile connectivity, they will say, hey, is the switch open? They will make sure that there is no current on that line. But if he has garbled transmission, he might guess. But if he has no transmission, he gets back in the truck or sends his ground man down and says, "hey, go check and make sure that switch is open". And so, you know, in support of a digital system compared to an analog system, my observation would be that no connectivity is better than a garbled connection. Moderator: It comes down to coverage, really. Suppose that you had a smaller boundary but it was clear, so the coverage, in propagation terms, was less, didn't go out quite as far, but it was clear, and then you had nothing. Absolutely clear to the boundary. Then you had an analog coverage which gets noisier and noisier but goes, you know, an extra mile or two. I think the argument would be a little different. You know, there will be people who will say, I would rather have the extra two miles and have noise at the other end then be absolutely clear up to a lesser distance beyond which it chops off. Member: I would say that it is important to know whether or not your transmission has gone through. So I would rather make sure that you get a a reject tone or something like it so that you know when you are not transmitting out and you know that the person you are talking to has not received your transmission. Then you can repeat it or go someplace where they can hear you. Otherwise, I think you could get into some safety issues if you don't know for sure that the transmission has gone through. Member: Having worked dispatch on more than one occasion in my life, and having worked with people in the field where I could only get garbled transmissions, but they could hear me. I would rather they were able to press the talk button two or three times for me to respond to a question and at least be able to hear something than not. Now, that is not a great way to do things, but there are areas I've worked in where there is no cellular coverage, and so there is no fallback. And you want to have some fun, go out to Battle Mountain with the guys from NV Power and ride around in those trucks to see what they've got for communications in some of those areas. Typically, they've got one thing that works at a time. Moderator: Fallback is absolutely critical, is that right - having some kind of fallback? Member: Well, if it is available. But if it isn't, being able to at least break squelch twice for me to indicate you can hear me clearly, is something that is a fallback. It will at least let them know that you can still hear their squelch and you are still out there. Member: I think a lot of this comes down to the design of your system and having support from management. If you have holes in your system, you can fix them. Because if you are consistently having coverage issues and are not able to get through an area you need to get through, you need be able to go out there and add sites. So I think, you know, the design is key. Member: On top of that, you can also oftentimes get data through where you didn't get voice through. So the use of SMS and canned statuses and stuff can help make up the delta. Moderator: What about location information, too? I mean, particularly getting locations through to dispatch so they at least know where they are - is that important? Moderator: Really, they know where they want to go. Member: So, yeah. But they know they are there, and maybe some days when you are talking about coverage, it depends on which way the wind blows. One day may be okay right here and tomorrow it is not. Tomorrow it may be 10 feet over. I mean, there are those occasions depending on what the atmospheric conditions are like. We are talking about coverage, but we are talking about it like you are going to get 100% coverage, which you are not. Moderator: No. It is going to vary day to day. Member: Right. We rebuilt our system when we went to the trunk system, and our coverage testing put us a little bit less than 90% coverage. Now today it was good here. Tomorrow it might not be. But at 98%, that is not bad. Moderator: That is not bad. Kathy? Member: But there are places - and I tell the crews - there are places where you are not going to be able to talk, and we don't have enough money to cover those spots so move maybe a truck length. I have calls but I don't have coverage here. I have to cruise, so call me. I go out there with my vehicle and I got coverage the next day. Moderator: Worker safety could be improved with GPS/AVL. Even if I couldn't get voice coverage but I, as dispatcher, saw -my people because the radios were being constantly polled, sending the location back, then the next location back, and the next location back. At least I would know that I sent a truck out to such and such a location and, they got there or are still trying to get there. In storm conditions, I don't have a voice call telling me whether they are going to make it there or whether they are going to get stuck. But at least I've got some indication that they are moving, that they are on track to go to this location, and I can see that they exist, even if they can't actually get through to me, because their radio is polling regularly, so there is effectively a retry. Even though there is no opportunity for them to make a voice call back. Member: Could you get that through GPS? Moderator: That is exactly what we are asking about. But this is GPS/AVL carried over radio. Moderator: So if that naturally fitted into DMR that would be a plus for DMR. Member: I want to just cover this, because I think it is important. You don't always have your own crews in the area. Sometimes you've got other people's crews in the area. You've got a very junior crew, and not always are the addresses clear. And I will pick on Atlanta for a minute. You can go to North Peach Street, and you can go to Peach Street North. They are about a mile apart. They have exactly the same cross streets. They have exactly the same street addresses, but they are a mile apart. They are parallel to each other. There are 17 streets in Atlanta that start with "Peach Tree". And if you get a young crew - a couple guys who are only a year or two and didn't grow up in Atlanta - they can be in absolutely the wrong place even though you dispatched them to absolutely the right place. And so sometimes it is really, really critical to know where that truck really is, not where the crew says they are. Member: And to clarify your point, this came to mind just a little while ago. We pulled out all of our AVL capability, because it was interfering with voice traffic. We were running a half-duplex system which would transmit and interfere with a call. Now, if you were going a full-duplex system, it probably wouldn't interfere as much. But we are moving towards and want AVL. It is just not going to be on a radio system. Member: It would be some other system, as an overlay. Moderator: That is a possibility, as you say. Using some overlay. But if you found that it could able to be supported on a radio system without interfering with voice traffic - because that is absolutely critical - then AVL would be one of the services that you would rely on your radio system to provide rather than moving it to one of your other technologies. Kathy? Member: I would say that one of the differences might be, and in favor of keeping with a commercial provider for an AVL service (which is probably going to be an argument that I'm going to have in the next year or two), is that they can do web hosting and you don't have to have your own system for hosting it. If you put it on a private network, you have to host your system. Moderator: That is not true. Moderator: We've looked at a number of AVL providers. I would say this is true for absolutely everybody, every radio manufacturer. Many AVL providers for radio offer options: you can host it yourself, or it can be hosted, and either way you get a web interface. I really don't think that difference is true. It is really a matter of the particular provider that you happen to work with. And there are people who I've talked to who actually want to develop their own AVL application for their own reasons. They want a particular type of data displayed or particular type of presentation. So they are basically using an interface offered by a radio manufacturer to write their own application which connects to the manufacturer's radios. Member: So I think that is good information for us as service takers - whatever you want to call us to have. And maybe there is education that we need to have as users. Moderator: Sure - you can have already have web-hosted applications from a number of different AVL providers integrated to a variety of radio systems. Maybe even yours. You don't need to move this onto a commercial service. Member: I have some experience here with one particular road concession. These guys have the service they host. They must know where their own service cars. And also, they have 'problem trucks', trucks that pull a car out of an accident. They have to bring a crashed car into a special place and not go with the driver to his premises. So they decided to put AVL over our MPT system and -- and it is working perfectly on its own server. It is a small computer. It has a database and everything, and they bring it to them, and it works perfectly - for a 150 vehicles it is more than enough. Member: Every time that I've worked with AVL and I've put it in place, in the long run, the AVL has ended up in the GIS (geographic information system) because then you can see where the truck is in relation to infrastructure and other things. And, more importantly, you can go back and say, where have I been sending trucks and people over time? Where are my problem areas that I'm sending people into? And that helps the engineers to begin to look at issues such as, "are there things I should be doing in this area to eliminate what is going on in this particular area?". And I have yet to find a third-party provider that provides me with a Google map, or something along those lines, off the web which gives me an easy way over time to go back and overlay all of that information so that I can start zeroing in on my trouble spots. Member: And that was a benefit I never expected. One of the dispatchers pointed out that "Hey, I've got all of these truck spots ain this one area around these three poles". Well, it turned out that those three poles happened to sit on corners, and about once a week, one of the three got whacked. Well, right answer was that they got moved to the alleyway around the back, and so a significant amount of maintenance went away. Member: My only caution about AVL is in the traffic it generates: whether it is exclusive channel or if it is a used channel shared with other users. We have been receiving interference complaints from people that we've done frequency coordination work for. They have a MOTOTRBO system or some other, and they transmit the AVL information at such a frequent rate that it disables the channel for the other parties and it is a shared channel. Member: And, again, it boils down to a spectrum issue and an education issue of the users, understanding their environment. Member: And, perhaps, in those environments, a narrowband radio-based AVL solution might not be the most appropriate thing. Member: If you take advantage of the CAN bus on the truck, and you tie the AVL into the canned bus on the truck, you can send it when you start the truck, you can send it when you put the truck in park, and you can send it, say, every five miles. Member: No issue here, but I mean, there are ways to throttle it very nicely that give you key points along the way that are useful to know. Member: So it is more of an education issue. Member: Well, I think one of the challenges with these smaller distribution coops that we work with, as I mentioned before, is that they don't have communications staff. They don't know anything about communications. They don't know anything about traffic rates. And how do you educate someone who might be non-technical. For instance, with the distribution cooperative where I live, the radio system was put in by a facilities manager. He deals with phone systems. He is not even any kind of an engineer. And how do you educate people that don't have a communication background? How do you get that information out to them so that they know that that is not an appropriate use? Member: I don't know. 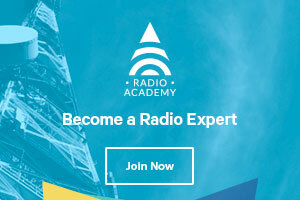 Maybe it is something we can work with Tait on, a 'Radio Environment 101' course for using AVL. Member: Look at the IEEE PS tutorial on that. Moderator: I've got some questions myself about another of public safety. We looked at the AVL/GPS. One of the benefits that TETRA technology has tried to sell to utilities is the value of duplex communications and how it can contribute to worker safety. Now, DMR can also do that, because it is two-slot TDMA, only it doesn't require some of the other things that TETRA does, such as guard bands and allocation of 25kHz channels. Is the ability to run duplex calls a real benefit for worker safety? Member: I don't know if I would say that for worker safety, but maybe it was Rick who talked about getting rid of cell phones. Member: To get rid of cell phones, you need to have full duplex capability. Moderator: I think Dennis also talked about needing the ability to have duplex calls -- did you not? Member: Other than AVL going back and forth? Member: There would be an advantage to duplex, full duplex. But as far as normal operations go, most crews know 'push-to-talk, release to listen'. I mean, that is the way they have been raised. That is the way they've done it for years. I don't know that full duplex would be a benefit in that regard. Member: We've ruled out phone patches and stuff in the past. The MPT1327 system we have got now has certainly way improved over that. But full duplex audio comes in when you have a service man that has to make a call to a customer. The customer doesn't know to the push-to-talk on the telephone thing. We found it totally useless - a regular radio phone patch simplex. Member: The point I was making earlier is that if you could make a radio more cell phone-like, you could consider getting rid of cell phones. That is, if you made your radio actually an extension of the telephone to phone internal and public. Member: And so to be able to see missed calls, be able to do voicemail, and all those capabilities Rick mentioned, too, would be nice features. Member: In worker safety, if you had a man who was injured, or whatever, full duplex one-man kind of crew, where you trip emergency, and you would be able to communicate and receive simultaneously - that could be a big help as well. Moderator: Any other things that you would like out of radio to improve worker safety - capabilities that you like that you may not be aware that DMR could offer? Any suggestions here? Member: It is not DMR-specific, but being able to carry some level of biometrics from a worker-carried radio turns out to be fairly useful, based on some work that was done by Industry Canada over the last three years where they looked at heart rate and galvanic skin levels on the scan and some other things like that. And what they came up with was a very simple back-of-the-radio sensor pad so that once you put the radio on, that part of the sensor pad actually rode on skin rather than on equipment. And turns out to be really, really useful in terms of figuring out when somebody isn't feeling well and, in trials, has significantly reduced bad work and so on and so forth in the field. I'm not sure the unions will go for it [Laughter]. And I'm not sure we are ready to actually roll it out yet, but in the long run, I think some level of biometrics is probably going to be important to worker safety in the field and being able to carry that traffic is important.